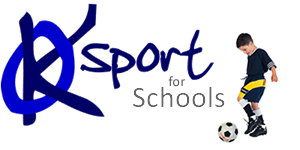 In line with government recommendations to up-skill primary school teachers to deliver good or outstanding PE lessons; we deliver CPD to primary school staff, from Nursery through to KS2. This is delivered to each year group for 6 weeks/6 hours alongside their year group teacher so they can actively learn in a relevant environment. We focus on co-ordination, gross motor skills, ball skills and hand to eye co-ordination, each week targeting a different activity to provide a wide range of content in line with the four strands of the National Curriculum.